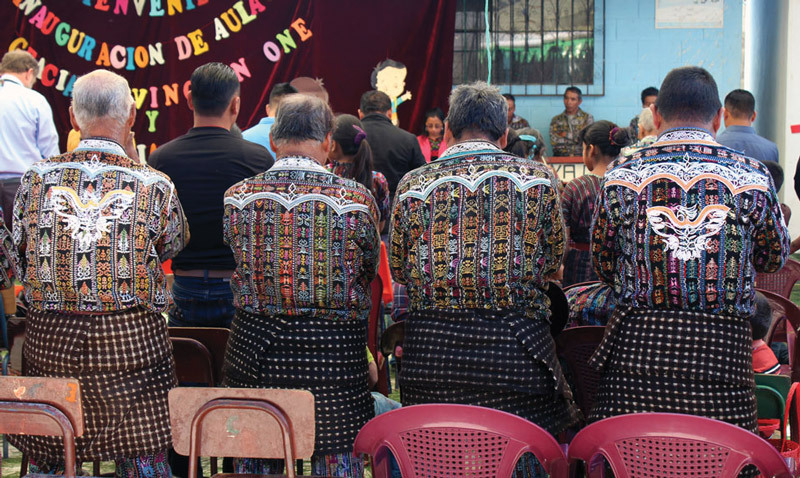 Traje, the traditional clothing worn by many indigenous Guatemalans, is a cultural cornerstone. Its brightly colored hues and intricately woven thread are commonplace in many areas of Guatemala, especially in the rural highlands around Lake Atitlán. While traje’s gorgeous colors and craftsmanship help it stand out in a crowd, it is much more than its aesthetic appeal—the clothes tell a story of expression, identity and preservation. 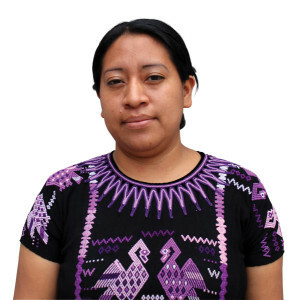 “Traje is representative of a way of life—of ancestry,” says Herlinda, who works for the Mayan Families Artisan Program in Panajachel, Lake Atitlán. Herlinda’s family is indigenous, and they choose to wear traje even in the face of economic hardship and the rising popularity of blue jeans and cotton T-shirts. To them, traje is a tradition and a vital piece of their history. According to Herlinda, traje is only complete when worn in its entirety. For some women this means a hair ribbon (cinta), blouse (huipil), sash (faja), shawl (rebozo) and skirt (corte). For men, traje consists of a hat (sombrero), carrying cloth (tzute), overshirt (capixay), shirt (camisa), belt (cinturon), bag (bolsa), pants (pantalón) and sandals (sandalias). According to Herlinda, embroidery and patterns are significant in Guatemalan traje, and different communities can be identified in the smallest of details. For example, in Chichicastenango, the sun and the four cardinal points of north, south, east and west adorn huipiles. In San Antonio Palopó, blue huipiles with vertical stripes are paired with darker striped cortes. In Sololá, brocade sleeves are customary. Color, too, conveys a message. Red is symbolic of blood, black of the darkness of night, and white of purity. Herlinda says that though these meanings are known today, years before they carried greater significance. Making traje is a very complex process, requiring both time and artistic skill. If made by hand, a single piece can take months to complete. This process starts by spinning cotton into thread and then dying the thread. Traditionally the dyes were made of native plants, flowers and berries. The thread is then woven together using either a traditional backstrap loom or a more modern foot loom. Each piece is sewn together and then embroidered. 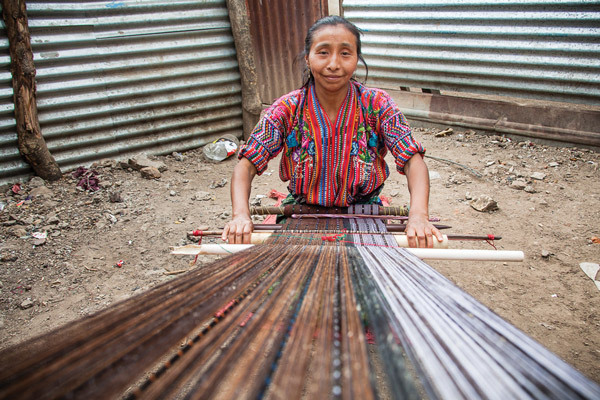 Weaving is an artisan tradition in Guatemala, one that women have been doing for centuries. In 2005, an external study commissioned by USAID estimated that there were between 700,000 and 900,000 weavers in the country—most of them indigenous women. The trade provides stable work in a place where poverty is abundant and job opportunities for women are scarce. According to The World Factbook, 54 percent of the Guatemalan population lives below the poverty line, and the majority are indigenous. By purchasing and wearing traje, a person does more than promote their culture—they contribute to the local economy and the advancement of local artisans. Although a source of economic stability for some, traje’s labor-intensive nature makes it more expensive than the Western clothing sold in pacas (second-hand clothing stores). In its entirety, adult traje can cost nearly $250. This, according to Herlinda—as well as traje’s impractically thick nature in Guatemala’s warm climate—makes it less desirable to younger Guatemalans. 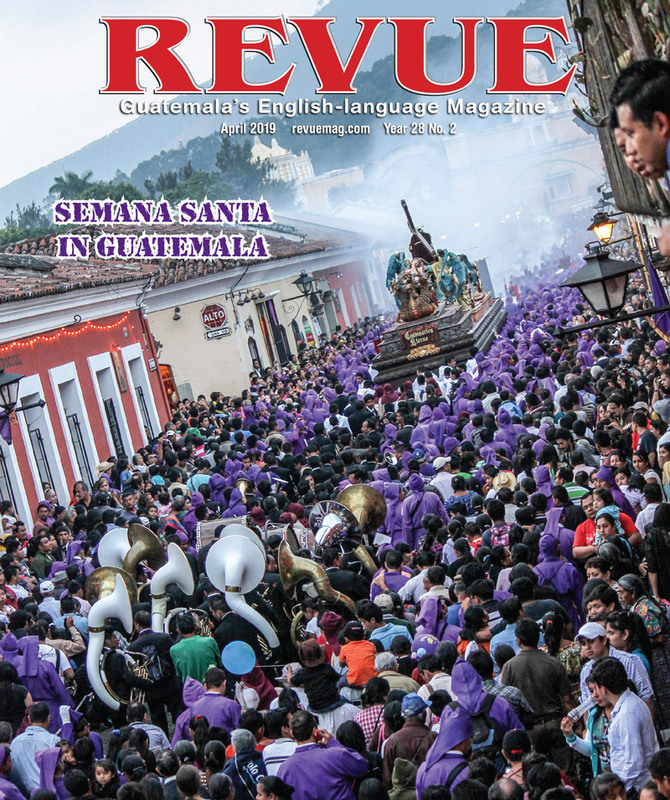 “The culture of traje is easily lost—it’s more expensive but also lasts longer,” Herlinda says. Each year, Herlinda and other Mayan mothers hope to provide their children with new traje. As prices continue to increase, this becomes less feasible and often they are forced to make their own. This can mean countless hours and days spent weaving and sewing. Just one huipil took Herlinda two full days to complete. Though her time and effort are precious, continuing the tradition is worth any cost. 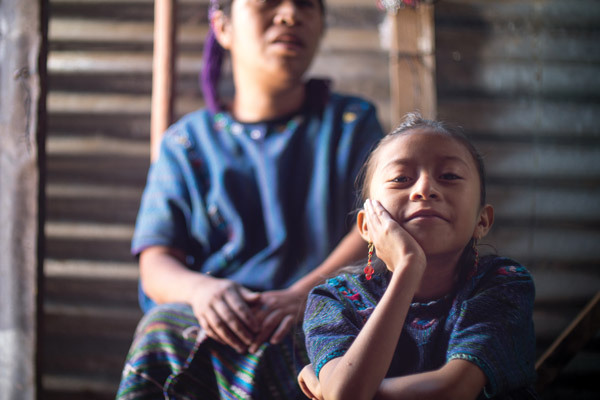 Mayan Families’ Family Aid Program aims to support the indigenous families of Guatemala in the face of all obstacles—including providing clothing to those in need. A donation to the program’s general fund can clothe a child or parent in traje and assist in keeping the Mayan identity and culture alive. In love with this colorful shirt! How much is a whole traje outfit? 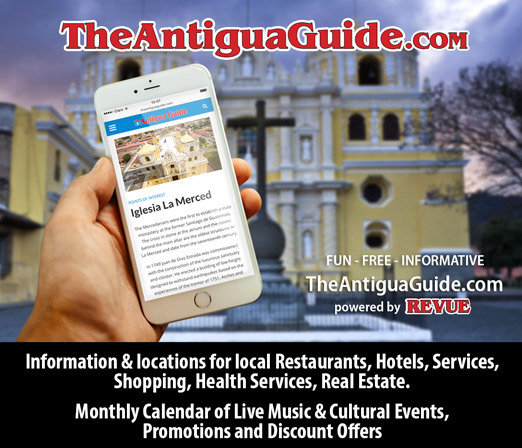 Depending on the region and the intricacy of the designs, adult traje can cost up to $250, which is prohibitively expensive for most families.